This is the year (2011-2012) that NCTM celebrates technology at their regional and annual meetings. Since CLIME is exhibiting at the regional meeting in Atlantic City this week, I thought I would highlight the technology events at the conference. Thursday is the day to follow the technology theme. Here's what you do. 2. Choose from a variety of presentations throughout the day focused on Technology and Mathematics. See list. Thursday, October 20, 3:30-4:30 p.m.
What role does technology play in providing multiple representations and opportunities for communication to help students develop mathematical understanding? How does technology influence your instructional decisions? And, how do your instructional decisions influence your use of technology? 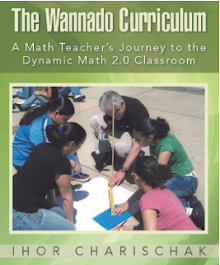 How can technology increase access to significant mathematics to all students? How do you promote social justice for access to and facility with technology in learning mathematics? You can check email and browse the Web at an internet kiosk near the registration area. But Wifi? We're looking into it. So far the word is that it is free everywhere. This I got to see. More about that when I arrive in AC. You can access it online. (click on book's image.) See also how you can use the Conference app on your smartphone to help you find sessions. You can download it here. 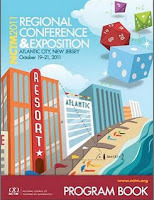 October 19-21, 2011 - NCTM Regional Conference in Atlantic City. 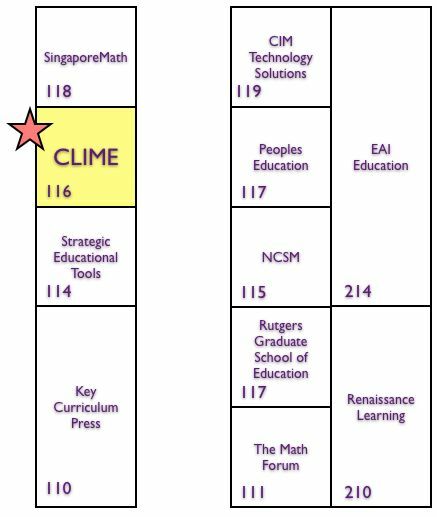 CLIME will be exhibiting and promoting Math 2.0. Visit them at Booth #116. 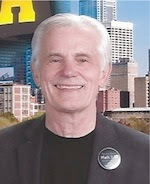 April 25-27, 2012 - NCTM Annual Conference, Philadelphia, PA. Presenting and exhibiting. Read more about it. 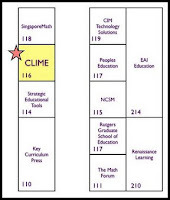 April, 2012 - CLIME sponsored online math & technology conference (tentatively planned) More details to follow.